He was arrested in Dublin yesterday evening after gardaí found the large quantity of cannabis herb. 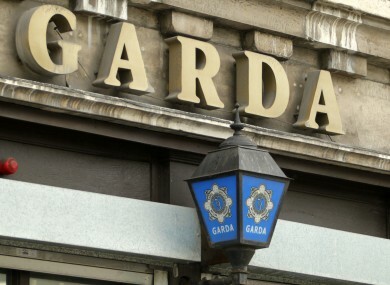 A MAN IS due to appear in court this afternoon, to be charged in connection with the seizure of €120,000 worth of cannabis herb. The 30-year-old will be brought to a sitting of Dublin District Court at 4.30pm. He was arrested as part of an ongoing, intelligence-led operation targeting the sale and supply of drugs across the country. The cannabis herb was seized during an operation on the Naas Road in Dublin yesterday. Gardaí searched the accused’s car at about 7.30pm near Clondalkin. Detectives noted that drug seizures play a critical role in targeting the livelihood of criminals and reducing their ability to carry out illegal activities and also help protect communities from the devastating impact of drugs and the associated criminality. Email “Man due in court over €120k cannabis seizure”. Feedback on “Man due in court over €120k cannabis seizure”.